When planning for your next getaway, consider catamaran rentals BVI. The British Virgin Islands offer a wondrous touch of nature like you’ve never experienced before. Instead of cramping in small berths and cabins in a cruise, catamarans offer more space and privacy for a more luxurious vacation. 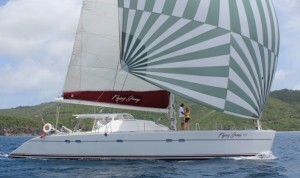 Sailing in a catamaran offers honeymooners more intimacy and a more personalized touch to their sailing getaway. Catamaran rentals for your BVI sailing offers more comfort and speed nonetheless. Sailing in the BVI will definitely leave you breathless because of its stunning paradise-like views, fantastic weather, pure shores, beaming water and perfect snorkelling and diving spots. The British Virgin Islands’ pride is not only the scenery but as well as their warm, accommodating people and excellent food! 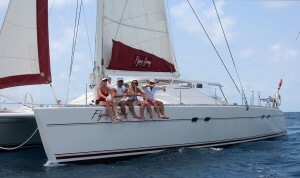 Here are some ideas on where to go and what to do once you avail of Nicholson Yacht Charters’ Catamaran Rentals BVI. Anchor, take a dive, snorkel or dine-in at the Peter Island. The stunning night lights are a must-see for every tourist in this private island. For diving enthusiasts, visit Dead Chest Island’s buoyed dive sites; there are four in this place – or the Cooper Island where there are six buoyed dive sites. The Cooper Island offers a marvellous beach front and the local government is very stringent in preserving the island’s beauty which is why trash-dropping is strictly prohibited. The Norman Island is also a perfect diving haven for diving and snorkelling aficionados. This place also has restaurants that serve excellent dishes on their menus (seafood dishes are fantastic!). There are several key locations in this island that has moorings available. If you wish to see a beach with naturally gigantic boulders, you must stop by and enjoy the Virgin Gorda where “The Baths” is located. You can chill out at bars and restaurants in this place after sunset – just prepare for some hike!But truly, the view and the night-life experienceare worth every step. If you seek more adventure and diving at historical dive spots, the Salt Island has the Wreck of the Rhone; it is one of the world’s most popular wreck diving spots. Since it is a historical diving destination, the Salt Island can be filled with people most of the time.However, the experience won’t be any less fun and exciting. The Mosquito and the Dogs Islands are also great diving and snorkelling spots. Moorings are also available in these places. For those who wish to stay a night or two at a hotel, they can definitely stop by Saba Rock where a cosy hotel welcomes tourists and travellers. The Beef Island, Great Camanoe, Marina Cay, Tortola, Jost Van Dyke, Sandy Cay, Green Cay and the Normal Island are other places to stop by and enjoy during your catamaran sailing. In BVI, there are islands that are generally off-limits to the public. 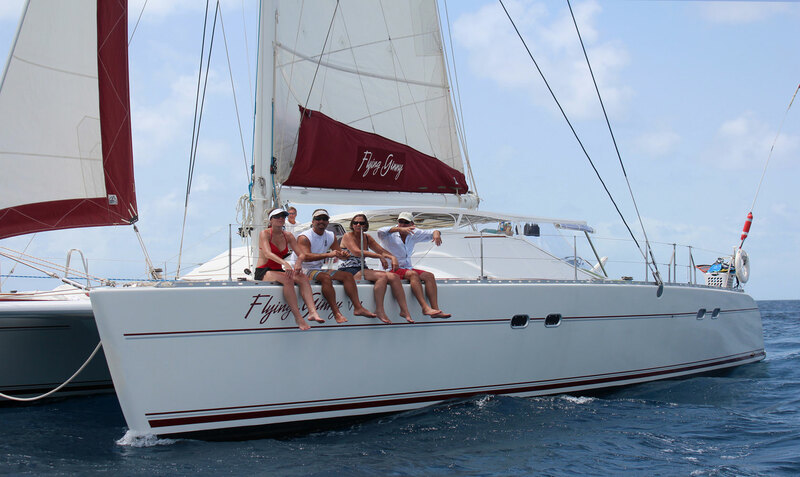 But if you wish to make special arrangements to visit particular islands such as the Anegada, you may feel free to discuss this with Nicholson Yacht Charters to be included in your catamaran rental BVI sailing. A luxury yacht vacation in the Caribbean will give you the sweetest escape. Chartering brings exquisite exclusivity and the taste of extravagance and superfluity. Chartering is an amazing experience that will show you different horizons and a whole new view of the world. The Caribbean islands offer a ton of activities to do and beautiful sceneries to behold. A luxury yacht vacation in the Caribbean could be all you need for a fantastic holiday away from the hustle and bustle of urban living. Leave the metropolis and charter the wonderful waters of the Caribbean. equipped with top of the line gears for water skiing or tubing, snorkelling, fishing and other activities that will make your vacation even more memorable. 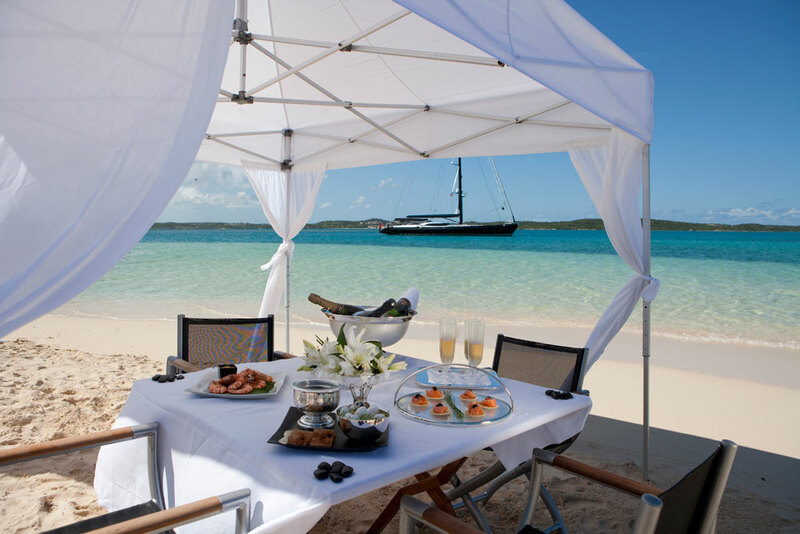 With Nicholson Yacht Charter and Services, your luxury vacation will definitely be beyond compare. This is because we bring you the best international crew of qualified captains, engineers, deckhands, mates and stewardesses or stewards. Most of our clients find that food served on deck are even more scrumptiously delicious compared to what restaurants ashore offer. Should you wish to make special arrangements and activities that you and your loved ones will enjoy, we’ve got you covered. Our team will take care of your requests and all you have to do is chill out, relax and enjoy your entire vacation. You can find the most competitive pricing from us while not having to worry about the safety and luxury of the private charter. 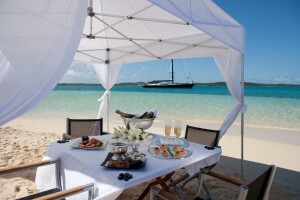 So go ahead, reward yourself with a truly satisfying getaway that only luxury yacht vacation in the Caribbean can bring. Our goal here at Nicholson Charters is to bring satisfaction and delight to all customers, especially those who have discriminating taste. The services, yachts, captains and even the crew listed available are not the only ones we can offer. We are not limited to what we have on our list. If you have something in mind that we don’t have listed, don’t hesitate to let us know and we will make sure to make your trip customized perfectly to your liking. Why don’t you plan ahead for that next anniversary or holiday blowout for the family? We’re here to make you experience the finest chartering ever. You can even take the helm for more fun and thrill! Set the date and the only itinerary to be followed is the one designed and approved by you. See the most stunning views and experience the most breath-taking, incredible cruise of your life. Your entire trip will be tailored to your heart’s desires. Best beaches, most fabulous snorkelling spots, islands to visit and exotic locations to uncover – these are all within the palm of your hands in your luxury yacht vacation in the Caribbean.